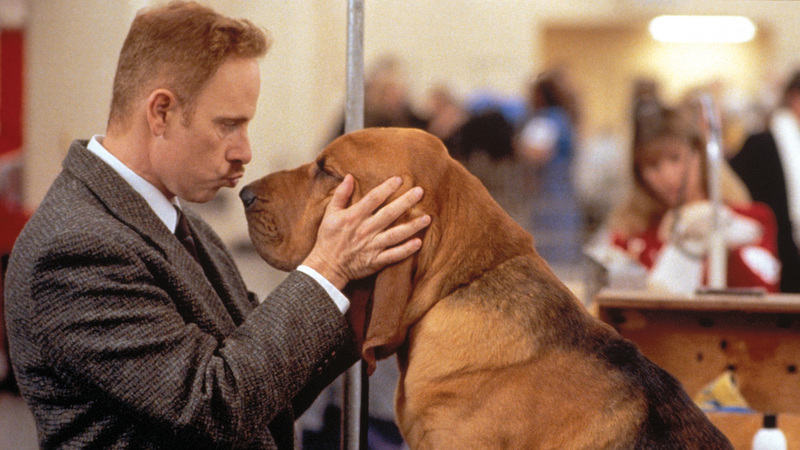 Pick of the week: “Best in Show” (Netflix) — No offense to “A Mighty Wind,” but “Best in Show” is the last great Christopher Guest mockumentary. In following an eccentric but devoted menagerie of dog owners on their way to a prestigious show, Guest and his troupe of improvising regulars capture the obsessive natures of the competitors hilariously, but with sweetness and even tenderness too. “Carlos” (Hulu) — Oliver Assayas’ epic five-hour docudrama about the notorious Venezuelan terrorist is a masterpiece, moving from one terrific setpiece to the other, showing how Carlos (Edgar Ramirez) goes from being a lean, hungry revolutionary in the 1970s to a soft, decadent mercenary for hire in the 1980s. “Scrooged” (Netflix) — Sure, it’s April, but Bill Murray’s take on a “Christmas Carol” is still a daffy and delightful ride, and Murray finds the right notes of arrogance and sadness in his ruthless TV executive Ebenezer. “The Princess Bride” (Netflix) — Ted Cruz can quote the entire thing from memory, but please don’t hold that against Rob Reiner’s utterly delightful meta take on fairy tales, which finds room for tender romance, Billy Crystal shtick, and one incredible swordfight. “Sunset Boulevard” (Netflix) — Netflix doesn’t have enough truly classic movies in its repertoire, so make sure to catch Billy Wilder’s 1950 masterpiece of Hollywood rot, as a down-on-his-luck screenwriter (William Holden) agrees to play the kept boy for a faded silent movie star.